When is the Samsung Galaxy S7 coming out and what can we expect from the next Galaxy? Here’s everything we know so far, including the Galaxy S7 UK release date, price, specification and feature rumours. The Samsung Galaxy S6 has only been on sale since April, but it’s already time to look ahead to the next smartphone. Based on internet rumours, here’s what we know so far about the Galaxy S7 UK release date, price, specifications, features and more. Whether or not you think it’s too early to start looking at what the Galaxy S7 might bring, you’ve landed on this page because you’re interested. This is our complete guide to the Galaxy S7 and will be updated regularly all the way up to its launch with news and rumours as and when they become available. We’ll also add our own thoughts and expert predictions since we’ve been writing about the Galaxy range since the very beginning. On this page you can read about the rumoured Galaxy S7 UK release date, how much it might cost, and what’s the difference between S6 and S7 in terms of design, hardware, specifications and features. You can also vote in our polls to tell us what you’d most like to see from the Galaxy S7. We’ve split the article up into small sections focusing on different aspects of the Galaxy S7 so you can easily find what you’re looking for. Please bare in mind that what you’re reading is rumours and speculation so it may be wrong – we advice a healthy pinch of salt, but we will try and point out which things are more likely and less likely as we go. Samsung Galaxy S7 UK release date: When is the Samsung Galaxy S7 coming out? Usually, the flagship Galaxy S smartphone launch is pretty easy to predict. Samsung tends to announce the phone very close to MWC, the smartphone- and tablet-focused tech show in Barcelona which takes place every year in March. Samsung launches a new flagship Galaxy S device annually so it’s most likely that we’ll have to wait until MWC 2016 to see the Galaxy S7 officially unveiled at an Unpacked press conference. However, that hasn’t stopped a rumour suggesting it will arrive a lot earlier. 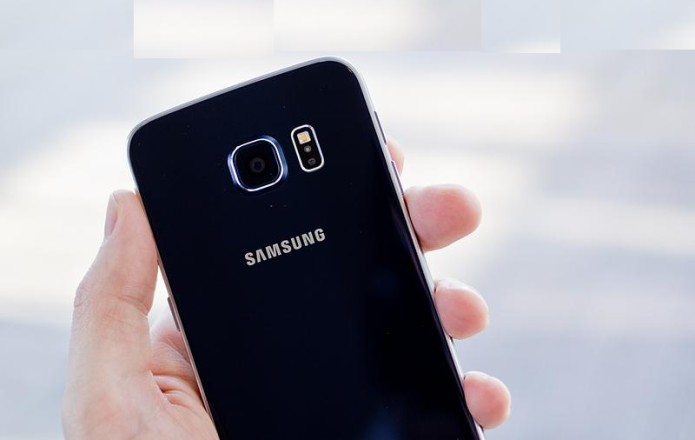 According to etnews.com, the Galaxy S7 could be here as early as January 2016. This would follow an early launch for the Note 5 (August 2015 rather than September 2015), but while Samsung has form we’re not entirely convinced. Nevertheless, the site says Samsung is changing its smartphone strategy to help it tackle the iPhone problem. Samsung Galaxy S7 UK price: How much will the Galaxy S7 cost? The price of the Galaxy S7 is always going to be debatable and the cost of a smartphone rarely gets leaked before its announced. Samsung, and other phone makers, tend not to announce prices for phone anyway, so we normally get the price from retailers which is how much you’ll have to pay anyway. With the Galaxy S6 hitting the market at £599/$899 we’d be surprised if the Galaxy S7 is priced dramatically different – unless it does have curved screen technology as standard (see below) then it might be more like £649/$974. In fact, our money is on the exact same price so we’ll have to wait and see if we’re right. We feel like Samsung finally got the design of the Galaxy flagship right with the Galaxy S6 by moving to a combination of metal and glass resulting in a device that really feels premium and like you spent £600/$900 on it. We hope that Samsung sticks with this new stylish design for the Galaxy S7 – although some upgrades could be beneficial. According to Korean site Kbench, Samsung has filed a trademark request for a new type of protective glass that’s stronger than Gorilla Glass – the new Galaxy S7 could come with Turtle Glass. inews24.com also says Samsung is experimenting with a lighter yet just as tough magnesium-based alloy for the Galaxy S7. However, not everyone is a fan of the Galaxy S6 design because it brought along some downgrades. This new material should also allow heat to escape better. For starters, it doesn’t have waterproofing like the Galaxy S5 and took away two hardware features which a lot of users have grown used to on Galaxy S devices – the removable battery and microSD card slot. We’d like to see the microSD card slot back but with the amount of portable battery chargers you can get (some of them free) we don’t see the need for a flimsy plastic removable cover in order to get the batter out. The most likely design rumour is that Samsung will make the curved edge, seen on the Galaxy Note Edge and Galaxy S6 Edge a standard feature. We think this is perfectly possible but Samsung could also stick with the regular model and a curved version in order to charge a premium for the feature – instead of bumping up the price. With the OnePlus 2 confirmed to have USB Type C which is reversible, we expect the Galaxy S7 to have this port too. It’s very much up in the air as to whether the Galaxy S7 will use one of Samsung’s own processors or move back to Qualcomm. Although the firm is using an own-brand Exynos chip in the Galaxy S6 models, a u-turn back to the Snapdragon range is certainly on the cards. Indeed, according to Sammobile the company is already testing the Snapdragon 820 for use in the Galaxy S7. This processor is said to have a 35 percent improvement over the Snapdragon 810. It also says the new phone, codenamed Jungfrau, will benefit from Adreno 530 graphics and LP-DDR4 RAM support with this chip inside. In fact, Samsung is thought to be working with Qualcomm on manufacturing the Snapdragon 820 with 3GHz Kyro CPU cores so it could be a joint effort on this one. There are some slightly crazy rumours suggesting the Galaxy S7 will feature a whopping 6GB of RAM but we think that 4GB is far more likely. Storage is likely to remain at 32GB like the Galaxy S6 and the microSD card slot is unknown but we can only hope Samsung has noticed the response to this change and acts on it. The screen size of the Galaxy S5 and Galaxy S6 is 5.1in so it seem likely that Samsung will stick to this with the Galaxy S7 and it will almost certainly continue with its favoured AMOLED technology. After all, the Galaxy Note range is designed for those wanting a larger display. As mentioned in the design section, it’s quite possible that the curved display technology found on the Samsung Galaxy S6 Edge will be a standard feature of the Galaxy S7. A Samsung official said the company is looking to substantially increase its monthly output of flexible displays to prepare for S7’s release. The latest rumours from Weibo also suggest the Galaxy S7 will have an iPhone-like Force Touch display using a technology called ClearForce, which able to differentiate between a tap and a press to trigger different actions. We’ll have a better idea of what screen technology the Galaxy S7 will offer once the Galaxy Note 5 comes out later this year. It’s rumoured to be the first 4K or Ultra HD (2160 x 3840) smartphone and if it is, the Galaxy S7 is likely to follow suit. In the past, Samsung has adding various gizmos and gadgets to its phones, especially the Galaxy S range so we expect the Galaxy S7 to continue this. We’d expect it to come with the fingerprint scanner found of the S6 models plus the usual heart rate monitor and IR blaster for controlling devices around your home. One area Samsung hasn’t really pushed compared to competitors is audio so we’re wondering whether it might up the game on the Galaxy S7 here. There is an outlandish rumour which proposes that the Galaxy S7 will sport a whopping 30Mp camera, which isn’t completely out of the question but we’re putting it very much in the maybe not pile. Samsung is known to be working on a 20Mp ISOCELL sensor for its Galaxy S7. However, the latest rumour (from Phone Arena) suggests Samsung is so impressed with the IMX300 sensor in the Sony Xperia Z5 that it could use that technology in its next Galaxy S smartphone. It’s possible Samsung will use both sensors, and which version you get will be dependent on region. There’s little to say about software at the moment apart from that it’s fairly easy to predict that the Galaxy S7 will come pre-loaded with Android M. Google will launch the new version of its mobile operating system later this year so that should be plenty of time for Samsung to get it on the next flagship model. TouchWiz, Samsung’s customer user interface, will almost certainly be on-board too and we expect it to be similarly stripped back like the current version. That’s everything we know and think about the Samsung Galaxy S7 so far but we will be updating this article regularly. Make sure you let us know what you want from the S7 in the comments below and by voting in the poll.